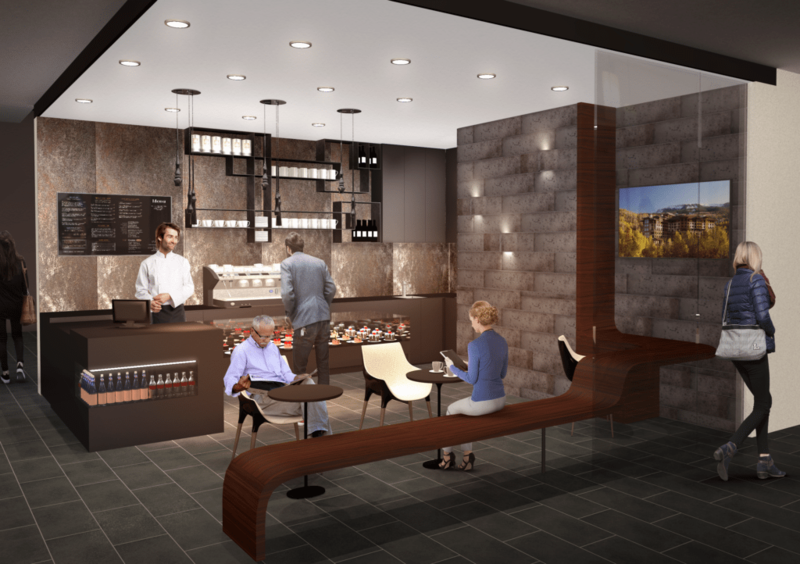 As part of the $4 million enhancements currently underway at the Viceroy Snowmass, the lobby space is being reimagined with a contemporary new fireplace and cozy spaces to gather, including Cafe V, a new modern coffee establishment for guests and residents alike. Here a barista will be pulling your favorite espresso and coffee drinks along with a variety of delightful pastries, all created daily by our culinary team. Recently, the Viceroy team conducted a tasting to select the coffee to be served at the cafe. The winner was illy Coffee, the celebrated Italian espresso coffee enjoyed by coffee connoisseurs worldwide. This coffee is prized for its rich full-bodied, yet velvety smooth espresso. And in keeping with Viceroy’s culture of sustainability, illy was the first company to receive the Responsible Supply Chain Process certification of sustainability awarded by the Det Norske Veritas. This winter, the new Cafe V will be open from 6:30 a.m. to 6 p.m. daily for a great spot to enjoy your favorite coffee drink before hitting the slopes or heading out for a day of outdoor adventure!